Army Spec. 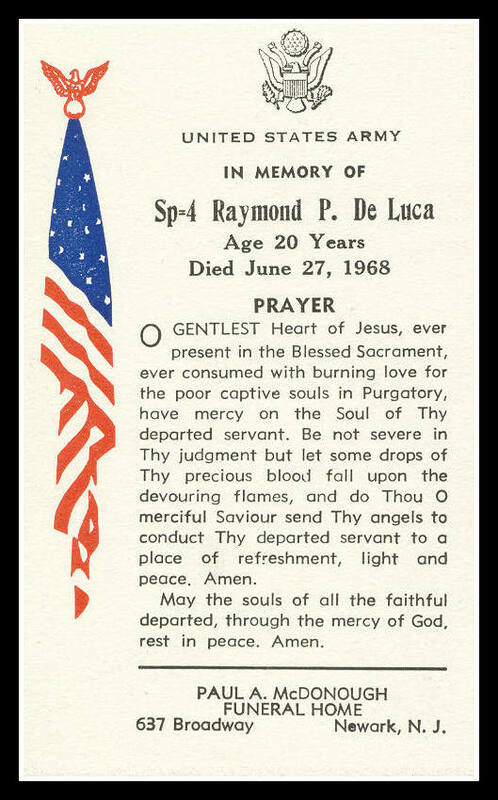 4 Raymond P. De Luca, a combat medic, of 30 Meacham Street, died June 27, 1968, as a result of wounds received while giving aid to a wounded comrade in a firefight in Long An, South Vietnam. A lifelong resident of Belleville, De Luca attended Essex Catholic High School, Newark, where he graduated as an honor student in 1966. He was a member of the National Honor Society, a National Merit Scholarship finalist, and served as editor-in-chief of the school's yearbook Talon. He also was a member of Boy Scout Troup 152, Nutley. Spec. 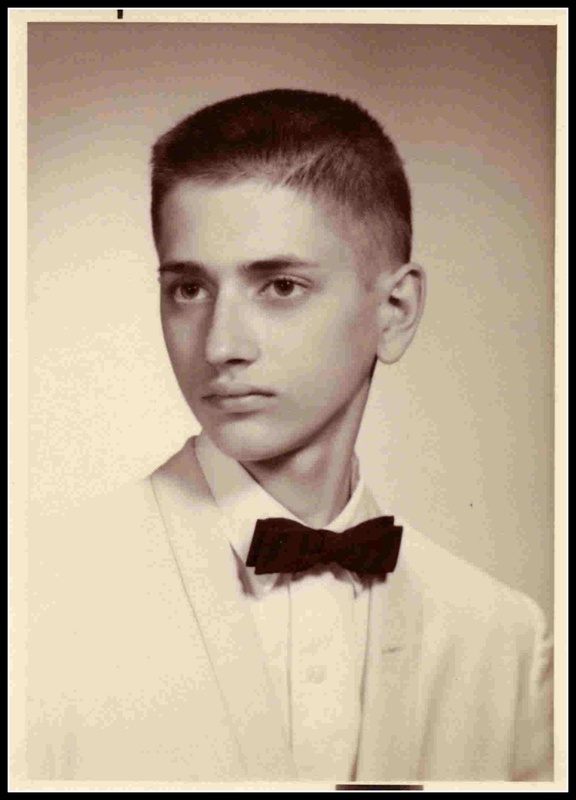 4 De Luca had begun college as pre-med at William and Mary in Williamsburg, Va., but decided to enlist and serve as an Army medic with his pre-med background and join his brother Gerard who was serving aboard the USS Barney off the coast of Vietnam. After training as an engineer at Ft. Leonard Wood, Mo., and pushing his qualifications he was then trained as a medic at Ft. Sam Houston in Texas. 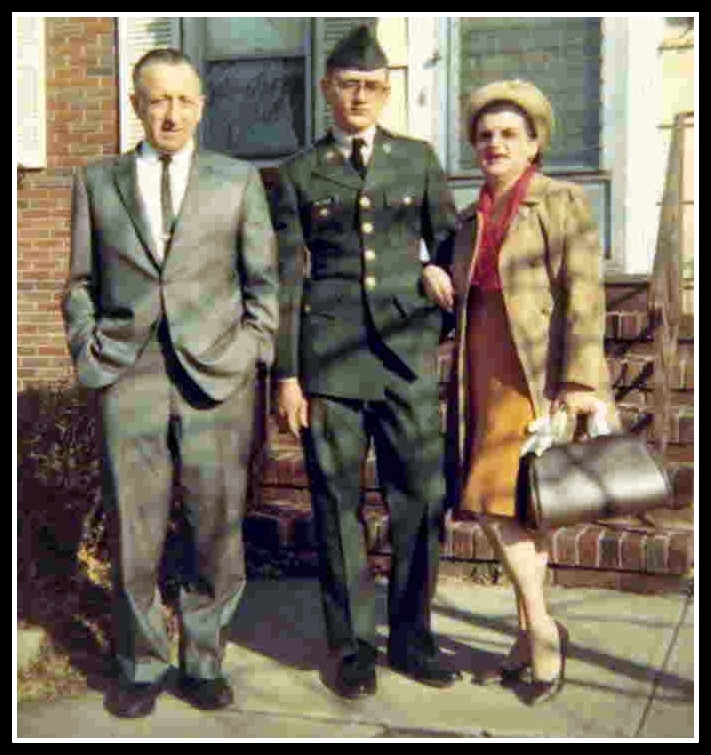 Deluca volunteered to go to Vietnam and was attached to Company C, Ninth Medical Battalion, 9th Infantry. DeLuca served in-country for nearly six months before being mortally wounded while aiding a fallen comrade. He was awarded the Purple Heart. Raymond DeLuca was survived by his parents, Charles and Sophia Musko De Luca; and his brother, Gerard. A Solemn High Requiem Mass was offered in Holy Family Church, Nutley. Interment at Glendale Cemetery, Bloomfield, on July, 10, 1968. In mid-2006, seven street names in the new residential development at City Homes at Essex Park were renamed to honor veterans and four of the Belleville heroes who died while in service. 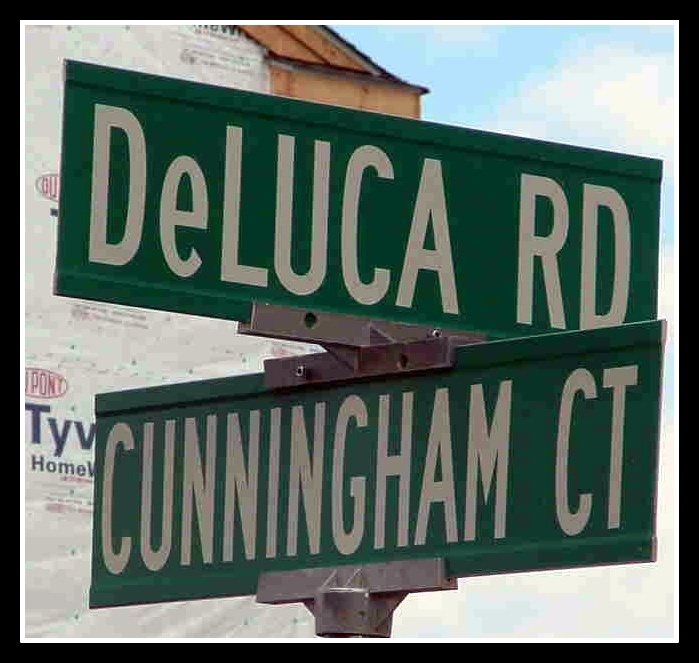 Streets were named for Raymond De Luca, Carmine Olivo, Clatie Cunningham Jr., and William Hamilton. Gless Ave. at Meacham St.
Meacham St. at Memphis Ave.